The past two months have seen the arrival of various damaged Drifter fleets. 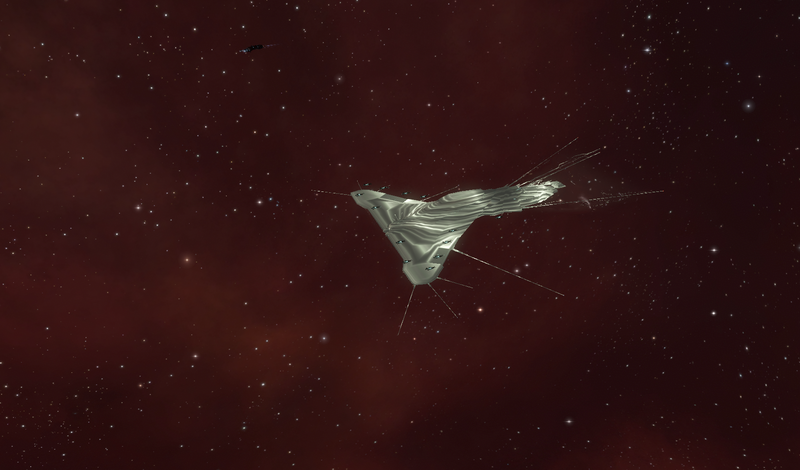 For reasons unknown, they showed up in New Eden. Adding to the mystery is their damaged state and their unwillingness to communicate. Considering how the Drifters acted in the past when they sent fleets, there are reasons to be worried. The past two months the Arataka Research Consortium (ARC) has dedicated alot of resources and manpower to find out what is going on and if it could be a possible new threat to the cluster. ARC has engaged the Drifter fleets as much as they could, both to learn more, as to halt any possible threats. A large battleship fleet that arrives unannounced does not exactly say 'We come in peace', especially not if said battleships attacked without warning in the past. From the wreckage, mysterious corrupted data vaults have been recovered that could lead into a deeper insight of the Drifter actions & motivations. This article will showcase what we know right now, the new developments on both sides (Drifters & ARC) and what data has been cracked from the mysterious vaults. But first we start with a list of all known Drifter fleet sightings to this day. First we'll sum up all the fleets spotted so far, where and when, to have a better insight on the progression & when certain breakthroughs happened. Then we'll look more into detail on various encounters. Do note that all but one fleet has been engaged & destroyed by various forces around New Eden. The only Drifter fleet that was not engaged was the first one spotted by ARC in Anoikis. A quick glance show they have mainly focused on Caldari territory, close around the Jita system and Minmatar space, seemingly focused around the Eram system, home of the Arek'Jaalan site. It's not yet sure why they focus on these areas yet. Another curiosity is that they always appear at stargates when present. The reason for this is not known. So far, the Amarr Empire has not been visited, this could be due to historical reasons. The first few encounters caught many off guard, as nothing could be gleamed on why the Drifters came here. The Drifter battleships were heavily damaged into structure, but their overshields (blue) were still operational. Only thing of note this early on was the leaked Concord file, showing a strange glowing orb. After the Nourvukaiken encounter, things get more interesting. Not only has their overshield failed, it is also the first time corrupted trinary data vaults are recovered, the First Vaults. The distorted images recovered after decoding the data showed an unknown ship, possibly the cause of the damaged Drifter battleships. From this encounter onward, these vaults would be recovered standard from the wreckage. The encounters at Isanamo, Evuldgenzo and Altrinur saw intense attempts at communication with the Drifters in the vain hop of a response. These attempts were made by both independent capsuleers as ARC personnel. However, from the Altrinur sighting, things sped up. Not only were the Second Vaults uncovered, but from now on, every new encounter came with corrupted vaults holding new data. The Third Vault data was first discovered at the Ikuchi sighting. Emolgranlan was the site of the first Fourth Vault data salvage. The Jovelier sighting is the most interesting of them all, as it deviated greatly from previous encounters. Not only was it the first sighting in Gallente space, it also saw the Drifter cruisers escorting their battleships. 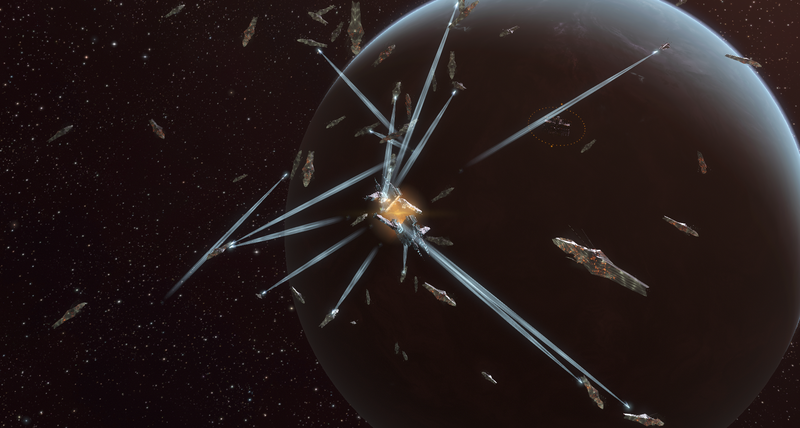 Do note that the Yashunen gate leads directly into Caldari space. While the battleships were severely damaged, the cruisers had not sustained any damage. They also proved to be a tough force to take down. The battleships went down relatively easy in their damaged state, but the cruisers in their undamaged condition and possessing excellent gun tracking were a force to be reckoned with. Once the battle was over, two new vaults were uncovered as well! The Fifth and Sixth Vault were recovered from the wreckage. So far, 6 different data vaults have been retrieved, heavily coded and containing distorted images. The leaked Concord file threw most folks off initially, as it looks like a star. 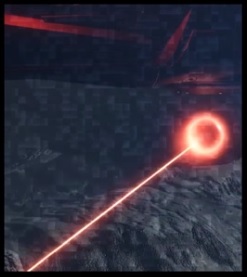 However, thanks to the decoding of the data vaults, we are now sure it is a very close up image of the weapon/energy source of the unknown ships. Decoding the various vaults gives access to distorted & corrupted images that need to be filtered & decoded as well to get a good image. Luckily ARC has excellent decoders among its ranks, not to mention the various independent capsuleers who also work on this. The alien craft itself is shown to be smaller & much more mobile then the Drifter battleships. Multiple of these alien craft are recorded during this engagement between them & the Drifter battleships. 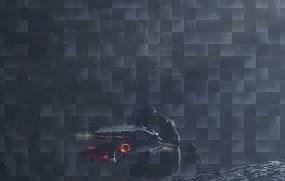 Not much more could be unveiled form the decoded images so far, except that it registers a battle between two (small?) fleets. One being a Drifter fleet and the other the unknown ships. Who the aggressors are in this conflict is unknown, but they sure aren't friends. This unknown structure has only been discovered recently on the footage, as it sits on the edge of an image & only is in view for seconds. No details can be seen, making it impossible to identify. So far, we know very little still. We do not know the location (Anoikis is suspected, but not sure) only that it is very likely in a shattered system. We know nothing of these alien ships, except that they're fast & small and not afraid of engaging the Drifter battleships. The main weapon of the strange ships seems to be their orb, firing red beams from it. And of course the unidentified structure, nothing is know about it, whether it's Drifter or something else. Knowing what it is can help alot in determining the location. From this footage, we can guess why the Drifter fleets come to our space; perhaps they try to look for a counter to these ships in our space, scanning everything? Or maybe they try to warn us against them in some bizarre way? After all, we can decode the data they brought to our space. But at the moment it is hard to tell why they come to our space with their damaged battleships in fleets. These are the newest ships fielded by the Drifters. First sighted almost a week ago at a Jove Observatory, they now also accompany the damaged Drifter fleets as they venture in our space. Unlike the battleships, these cruisers are not damaged & have their full arsenal at their disposal; overshield, doomsday and fast-tracking omni-damage guns, making them a formidable foe. Research is still ongoing regarding their capacities, but of note is that their Doomsday is not omni-damage like the battleships, but focused in the EM/Kinetic damage spectrum. A hint on the weaknesses of their unknown enemy? It is likely they developed this cruiser as response to the unknown ships, as they never bothered changing their battleship doctrine fighting or defending against us. The cruiser is heavily armed and the guns are fast-tracking, a good counter against those fast buzzing alien ships. Whether it is effective against them remains to be seen, but the cruisers are a dangerous foe for any capsuleer that attacks them. But it's very likely that they'll now accompany the damaged Drifter battleship fleets when they appear in New Eden again. Alongside the discovery of these new Drifter ships, another observation was made; The Jovian Observatories have deteriorated further, leaving larger debris clouds. They're fracturing further due to the Drifters' continued gathering of the Antikythera elements within these Observatories. It's not yet understood why they gather these elements and for what purpose. In short, we don't know why the Drifter fleets come to us. We do know that the alien ships seem to possess formidable weaponry, using a technology unknown to us as of yet. But why they fight the Drifters or who is the aggressor in between the two is not yet known. No known nation has fielded such technology so far, so at most it could be one of them fielding classified technology against the Drifters. It can also be a new, undiscovered faction in Anoikis, possessing technology unknown to us. Revealing the structure could tell us a whole lot more, so we have to put our hopes into retrieving new data vaults from the Drifter wreckage. This is because multiple attempts by various capsuleers to communicate with the Drifters has failed so far. This is the largest thread, contains most information of all the various Drifter fleets sighted & actions taken. Warning! Massive thread! - Trinary data camera footage astrolocation: Where is this nebula? - [ARC] Drifter Crisis history repository gives a full ARC overview of all known Drifter activity & related phenomenons, stretching back years.